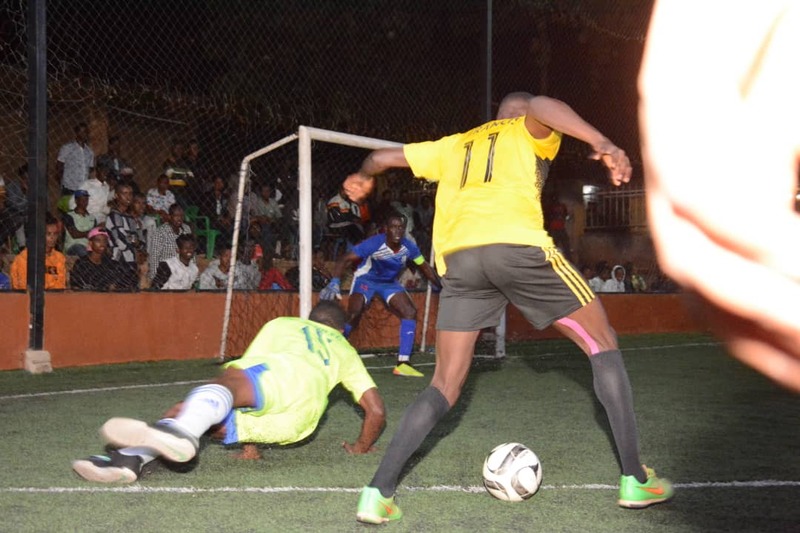 MENGO – After a temporary blip in form, Yeak Kabowa look to have resumed normal service in the Futsal Super League. Having secured only a point out of a possible six several weeks ago, they have now won both of their last two games and look to be on course of running away with the league crown this season. 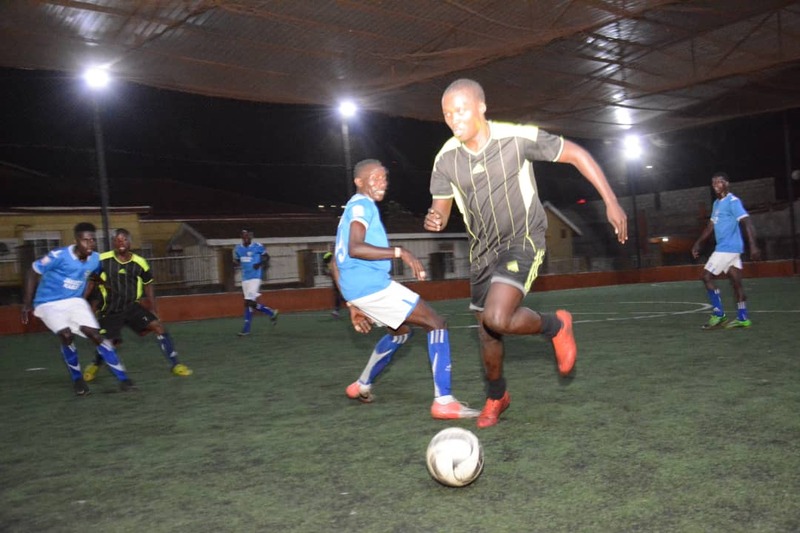 On Thursday, they were at their usual best once again, walloping Kabowa United 6-1 in the Kabowa Derby played at the International Futsal Courts in Mengo. The much fancied Yeak, started strongly, dominating the play as Kabowa United resorted to seating back and socking the pressure. By the end of the first period, Yeak were 3-0 up with Enock Ssebagala, Shaffic Avemah and Salim Gavamukulya all on target. At the start of the second half, Denis Okiror pulled one back for Kabowa United but it only looked to have motivated Yeak more. The log leaders went on the offensive once again, scoring three more goals to win the game 6-1. Ssebagala (*2) and Andrew Kayanja scored Yeak’s goals in the second period. Victory mean that Yeak are now four points clear at the top of the Futsal Super League with 42 (points) from 18 games so far. For Kabowa United, they are still 12th with 12 points accumulated. On a night that was characterized by goals, Bajim ensured they stole the headlines, coming from behind to defeat Parakeets 5-3. A Vicent Abigaba double and another Bruno Ochan strike ensured that Parakeets are 3-0 up by the sound of the first half whistle with Bajim looking out of sorts. Whatever the coach told his players at halftime will only remain a mystery as Bajim came back a different side, attacking Parakeets from the resumption. Kayima Ibrahim *2 and Captain Mubiru Derrick struck early in the second period to ensure the game is level at 3-3. Parakeets tried to mount a late charge to retain their lead but were undone by Sunday Franco’s late double that saw Bajim win 5-3 in the end. This was Bajim’s second remarkable comeback of the season, having come from 6-0 down to draw 6-6 with Typhoon two weeks ago. The three points earned see Bajim move into 6th on the table with 29 points while Parakeets remain 3rd with 34. The Thursday action however got off to a disappointing start as the game between Mengo City and Elephants was not played. Elephants arrived 30 minutes after the slatted kickoff time and were donning a Liverpool branded jersey, which is contrary to the Futsal Super League rules. As a result, Mengo City were handed a BYE, winning the game 2-0. For second placed Park, they failed to win for a second week running. Having drawn 1-1 with Aidenal last week, the Iddi Babu led captained side were held once again on Thursday, 2-2 by a very defensive Crown side. Ismail Kaire scored the only goal of the first period, ensuring that Crown take a 1-0 lead into halftime. At the beginning of the second, Francis Matunga leveled the scores for Park but Crown restored their lead just a few minutes later thanks to Ahmed Mahmoud. With time running out, Crown concede their sixth foul of the second period and a penalty was awarded to Park. Up stepped Babu who made no mistake as he equalized for Park to ensure game ends 2-2. With Yeak winning their day’s fixture, Park remain second, four points behind the leaders with 8 games to play. Crown on the other hand, remained fourth with 33 points from 18 games. In the game involving defending champions Dream and Typhoon, the two sides shared spoils in a six goal thriller. John Ssegawa struck for Dream in the first period but his goal was concerned out by Umar Ssebuliba just before the break. In the second period, both players struck again once with Swibu Kazibwe adding one for Dream while Roger Mota responded in kind for Typhoon so as the game ended 3-3. Dream remained in 5th position with 30 points while Typhoon climb into 9th on 25. The other games played on the day saw Nomad power their way past Aidenal 4-1 while Equator defeated Yap Stars 2-1. Yeak’s Enock Ssebagala now tops the scoring charts with 30 goals, two ahead of teammate Shaffic Avemah.